Today was the first day of competition at the Open World Championships in Marrakech, Morocco. 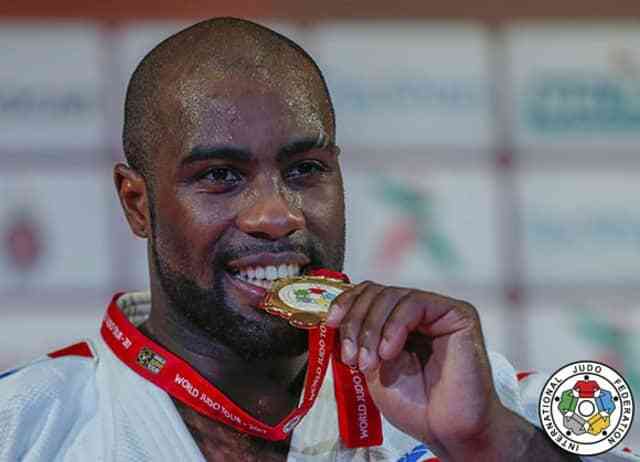 The Frenchman Teddy Riner became World Champion for the 10th time. 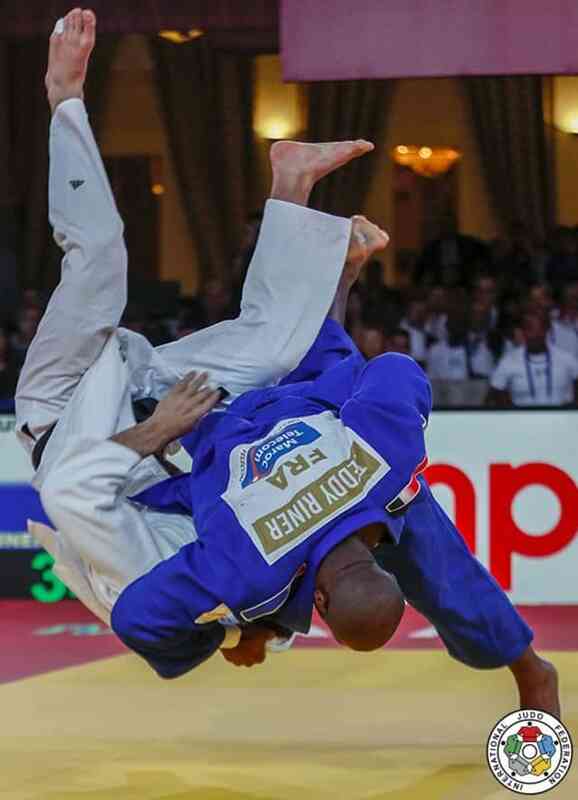 The first and last final of the day opposed already judo legend Teddy Riner (FRA), running for a tenth world title, and Toma Nikiforov (BEL), who was definitely among the strong men of the day, but for sure not among the top favourites. Immediately imposing his unbelievable power, Riner scored a first waza-ari after 25 seconds with a superb sumi-gaeshi. Half way to the end, Nikiforov seemed to be able to control Riner and launched a o-soto-gari, but the punishment was immediate, as Riner countered with a o-soto-gari for a second waza-ari. Eleven seconds from the end the French was penalised with a shido for stepping outside of the competition area, but then controlled the Belgian to conclude his incredible series of ten world titles. The question remains valid: who can defeat Riner? Who has the solution against him. Today was a long day for the French champion: six matches with totally different opponents and styles, but Riner had always the solution and was never in danger. He controlled everything from the start of the day and at the end showed his ten fingers. Teddy declared: "I can't say that I was at 100% today, but I really had good feelings since this morning. I enjoyed this competition very much. It's a different format, it's totally different from a usual sports hall, but it's good to change sometimes and to get out of our comfort zone. "I had really good matches and my opponents were strong. I have really to carefully watch TUSHISHVILI in the future for instance. It's good, that they want to take my place. But I'm not ready to give it away. "I wanted the tenth title. I was dreaming of it and it happened in front of my family, which makes it even tastier. "Now I will take a long vacation. I need it. I will watch my weight but I need some rest. I don't know yet if I will participate in the World Championships next year and in 2019. I have to adapt a little bit my rhythm. Today, I am World Champion again, and I'm happy." After the final, Mr. David Douillet, double Olympic Champion and four times World Champion, declared: "What Teddy did today is amazing. To keep his level so high all the time, to keep the motivation is incredible. That is the most difficult in a sports career. "He was taking match after match all day long, focused and well prepared, but he had a really good opposition. "A competition like that is difficult, because actually between the preliminary rounds and the final block there is a big gap and it's like two different competitions. At the beginning of the day, he needed to warm up and then he had really difficult matches, but he controlled perfectly everything. In the semi-final, after a long break, I could feel that he was not at 100%, but once again, his tallent and professionalism helped him a lot. "Two Olympic titles, and 10 world title, is crazy and I am sure that he can still win many medals, but he is getting older and he has to pay attention. I am sure that he will be present and ready in Tokyo and why not in Paris in 2024. That would have been my dream, but I couldn't fight for the Olympics in my country. Teddy might have that chance. Anyway, he is just an incredible champion. "You know, after all my titles, I can tell you that what remains is the friendship, the fact that you are part of a family. I have learned a lot during my sporting career and I keep applying that in my daily life. Respect is the key. When you realize that, you actually understand that we are living on a small planet and that our richness is based on our differences. We must cultivate them and take them as the most precious thing in earth." In the first semifinal, Teddy Riner was opposed to the Cuban Andy GRANDA (CUB), 40kg lighter than the French Giant. But despite that difference, GRANDA jauntily tried to push his chance. But Riner, who did not take any risk was waiting for the best moment to install his strong grip and launch a chi-mata for waza-ari in golden score. In the second semi final, Toma Nikiforov was on fire as he defeated KAGEURA Kokoro (JPN). The Belgian engaged a powerful ko-soto-gake, to which the Japanese seemed to resist but not enough and Nikiforov scored a beautiful ippon to face Riner in an unprecedented final. The first bronze medal contest saw the two Japanese, OJITANI Takeshi (JPN) and KAGEURA Kokoro (JPN) facing for a precious place on the podium. After 42 seconds, KAGEURA was penalised with a first shido for passivity. A few seconds before the end of the match, both athletes were penalized for passivity and entered the golden score to decide the winner. After a little more than one minute of extra time, KAGEURA received the third penalty, synonymous of hansoku-make, OJITANI winning the first medal of the weekend and the first bronze for Japan. The second bronze medal match was also 100% dedicated to one country, as both Cubans, Alex GARCIA MENDOZA (CUB) and his teammate Andy GRANDA (CUB) squared off. GARCIA MENDOZA scored the first waza-ari with a o-soto-gari to take the lead, followed by a second waza-ari with immobilization. With those two scores Alex GARCIA MENDOZA won the second bronze medal of the day and the first one for Cuba. The least we can say is that the playoff stages of this Open World Judo Championship kept all its promises. The particular format of this competition (no weight category and full draw, without to seeded athletes) ensured beautiful first matches. 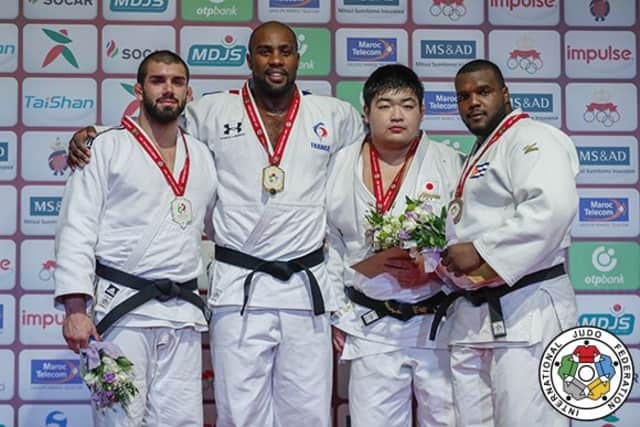 Everyone was eagerly awaiting the clash between the nine-time world champion and two-time Olympic champion Teddy Riner and his challenger of the semi-final of the last Budapest World Championships, the Georgian Guram TUSHISHVILI, who had made the French giant slightly falter. This time, everything went well for Riner, when the two men met in the second round. After a harsh first fight against Iurii KRAKOVETSKII (KGZ) in the first round, but convincingly won by Riner, he was again on the scene against TUSHISHVILI who was ready to take revenge and show that despite his smaller size, he was able to win. As in Budapest, the Georgian put his heart and soul into his quest, and as in Budapest, he was defeated by the French, who was actually less in danger, as he was really careful on the hands, and marked two waza-ari including a first from a magnificent harai-goshi which propelled TUSHISHVILI almost to the ceiling of the Palais des Congrs. 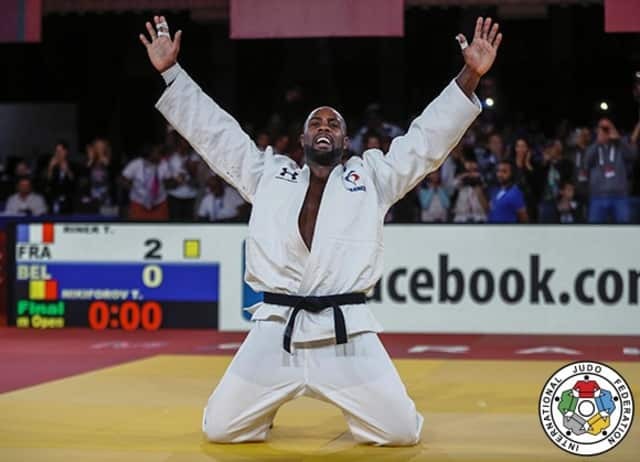 Riner then won against Faicel JABALLAH (TUN) and Temuulen BATTULGA (MGL), before facing in the semifinals the Cuban Andy GRANDA, who had defeated OJITANI Takeshi (JPN). But it must be said that each fight had an interest in being followed and the number of positive scores was important for the great pleasure of the spectators and especially the children of the orphanage that the IJF and the champions visited yesterday. One of the interests of following an open world championship is to see matches that one is not used to seeing, such as the one between Ilias Iliadis (GRE), out of retirement for the occasion, and the Dutch colossus Roy Meyer. Ilias, despite all his efforts and his combativeness, did not succeed in preventing Meyer from going on to the next round. With a smile on his face and satisfied with having given everything, Iliadis left the tatami under the applause. The eternal return of triple world champion Alexander MIKHAYLIN (RUS) was also expected here in Marrakech. Winner of the Mongolian ULZIIBAYAR Duurenbayar, in the first round, he won against Nadjib TEMMAR (ALG) in the second match. But the big test took place in the next round, while the Russian was opposed to the Frenchman Cyrille MARET, to whom the heavy categories are doing quite well, since he remains on a gold medal obtained at +100kg in Abu Dhabi a few weeks ago. MARET had also a significant victory in the previous round against Olympic bronze medalist Or Sasson (ISR). In a rather balanced fight, MARET made the mistake of launching an unconvincing attack and was countered by MIKHAYLIN who won the match. In the quarter-finals, MIKHAYLIN was opposed to Toma NIKIFOROV (BEL) who gave him no chance and won his ticket to the semifinal with great skill. Cuban Andy GRANDA (CUB) qualified for the semifinal against Riner, having eliminated Anton KRIVOBOKOV (RUS), Oleksandr GORDIIENKO (UKR) and OJITANI Takeshi (JPN), while the last qualifier for the final four was discreet KAGEURA Kokoro (JPN), who showed a pure and efficient judo throughout the morning. The official opening of the Open World Championships took place today at the Palais des Congrs of Marrakech. Mr. Chafik ELKETTANI, President of the Royal Moroccan Judo Federation declared: "Dear the judo family, in the name of Morocco, we have the pleasure to welcome you at this extraordinary Championships with exceptional athletes. We take that opportunity to express our gratitude to HM. King Mohamed VI for supporting our national judo federation and sports in general. We thank the IJF President, Mr. Marius Vizer and the IJF team for their continuous support. Welcome to Morocco, a land of tolerance and friendship, on the occasion of this competition in Africa, for Africa and for the world. Thank you very much." 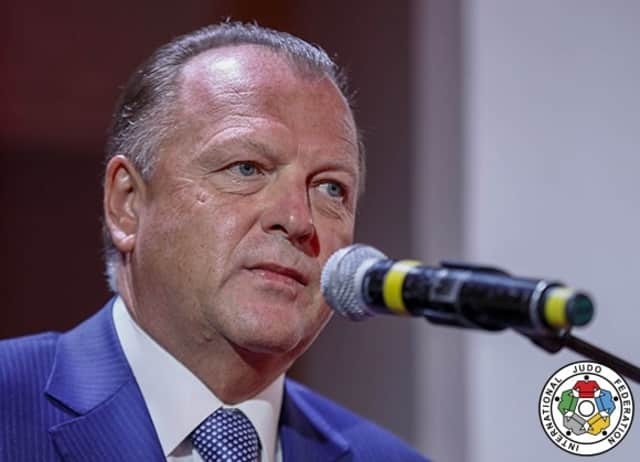 Mr. Marius Vizer, IJF President, declared: "Dear Minister of Youth and Sport, dear Mayor of the city of Marrakech, dear Mr. Vice-President of the National Olympic Committee, dear friends, judoka, spectators, representatives of the sponsors and the media, it is a great honour to organise once again one of our major events here in Morocco. 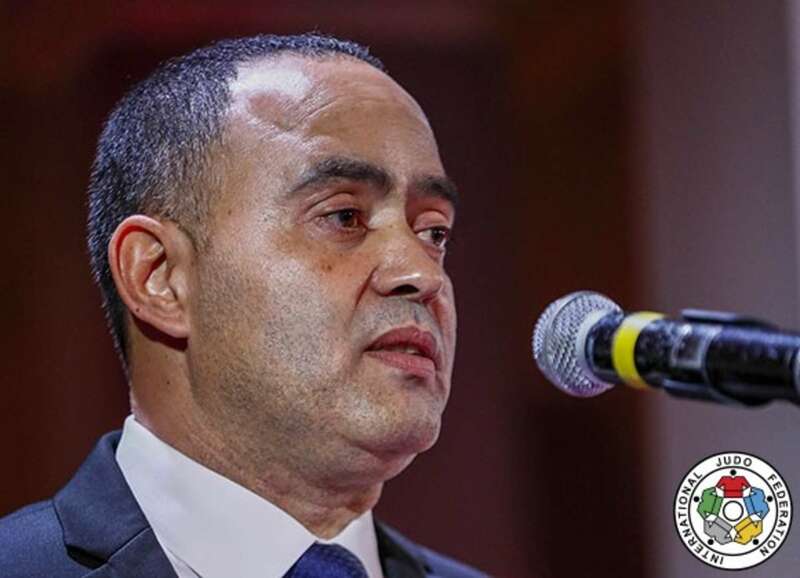 Thank you to His Majesty, King Mohamed VI of Morocco, to the government, the judo national federation and its president, to everyone who has been involved to make this event a great success. In an upset and sometimes controversial world, judo can bring unity, solidarity and peace. I wish you all the best during the Open World Championships." Mr. Rachid Talbi El Alami, Minister of Youth and Sport, said: "Mr. Marius Vizer, IJF President, dear Mayor of the City of Marrakech, dear Vice-President of the National Olympic Committee, dear spectators and family: "On instruction of His Majesty, King Mohamed VI, we have been able to organize this competition as well as a Grand Prix in 2018/2019/2020, in order to spread the judo values in Morocco and in Africa. Together with the International Judo Federation, we are going to create an important training centre and we will be able to support all the champions, the ones who will win and the ones who won't, because at the end, there are not only winners. I wish you all the best and I declare the Open World Championships 2017 open." Judo in Morocco was born in 1946. The first clubs were founded in 1949 in Casablanca (Racing Athletic Club, Judo Club of Morocco, Magreb Judo Club) and in Rabat (Moroccan Stadium). Later on, new clubs were also established in Fedala (today Mohammedia), Mazagan (today El Jadida) and Oujda. In 1951, the Moroccan Judo league was founded and was attached to the French Judo Federation as Morocco was a French Protectorate back in that time. In 1959, the Moroccan Judo League became the Royal Judo Federation (RMJF) and approximately 2,000 people were practicing the sport in the country. The first president of the RMJF was M'hammedi Benomar. The first Moroccan black belt was awarded to Mohamed Benomar of Rabat on November 15, 1959. The first years of the RMJF helped to set up the structure of the federation. Moroccan judo entered the international family in 1961 as one of the founding members of the African Judo Union (1961) and integrated the International Judo Federation in 1962. In 1964, the RMJF became the Royal Moroccan Federation of Judo and Associated Martial Arts (RMJF & AMA). In 1982, the sporting structures were united within the RMJFAMA, which offered the possibility to organize major international events such as 1983 Mediterranean Games, the 1985 Pan-Arab Games, the 1986 African Judo Championships where women took part for the first time and the First 1989 'Jeux de la Francophonie'. In 1999, the national dojo with a total surface of 400m2 was inaugurated in the Mohamed V sports complex in Casablanca. The RMJFAMA has been very active by organizing several major events such as the 2008 and 2012 African Championships and the Junior World Championships in 2010, in Agadir as well. 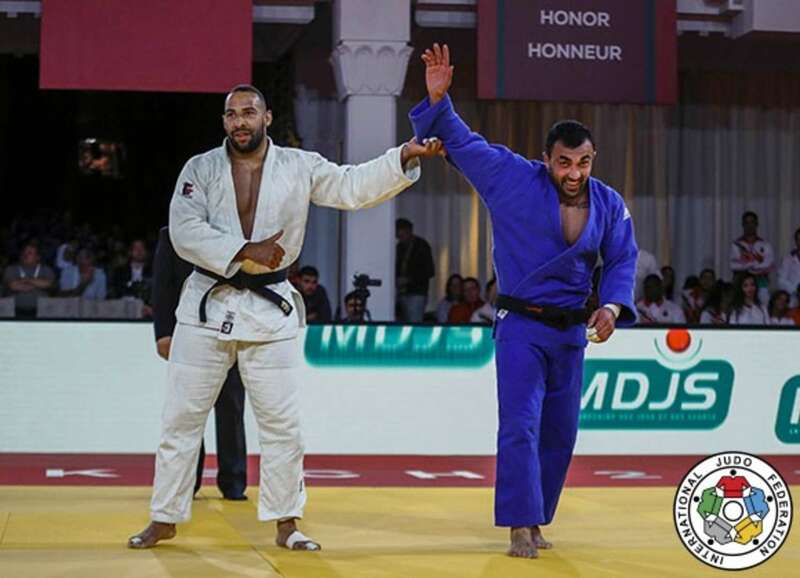 In 2015, the International Judo Federation chose Rabat to held its World Judo Masters which gathers together the top 16 athletes per weight category. Morocco today has little to do with what it was in the early 2000s. In the seventeenth years of King Mohamed VI's reign, GDP has more than doubled. This wealth creation has also helped reduce the poverty rate by half. This dynamic was fueled by the acceleration of investment in infrastructure and the implementation of major structuring projects. 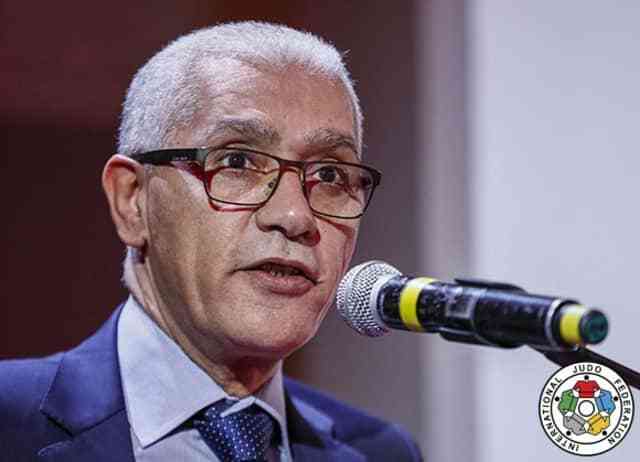 HM King Mohamed VI declared about sport: "You have noticed what sport represents for Moroccans and how deeply it is rooted in their collective identity. We are indeed a nation that loves sports and that is massively and unanimously mobilized to encourage and carry its heroes. Morocco takes great pride in seeing them perform so many exploits and see the Moroccan flag raised so high in international events. The practice of sport is becoming, today, one of the fundamental human rights. It is therefore necessary to widen access to men and women, without distinction, to disadvantaged regions and areas and to people with special needs. As such, sport is a powerful lever for human development, inclusion, social cohesion and to fight against misery, exclusion and marginalization. " Marrakech, which is hosting the Open World Championships Men and Women, is one of the major cities of the Kingdom of Morocco. It is actually the fourth largest city in the country (1-Casablanca, 2-Fez, 3-Tangier). It is the capital city of the mid-southwestern region of Marrakech-Safi. 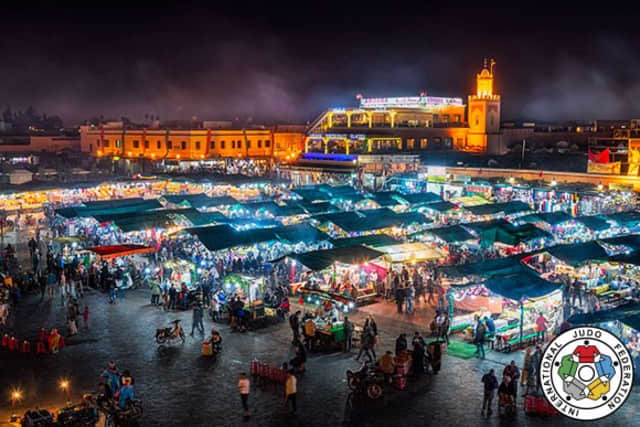 Located to the north of the foothills of the snow-capped Atlas Mountains, Marrakech is situated 580 km southwest of Tangier, and 327 km southwest of the Moroccan capital of Rabat. 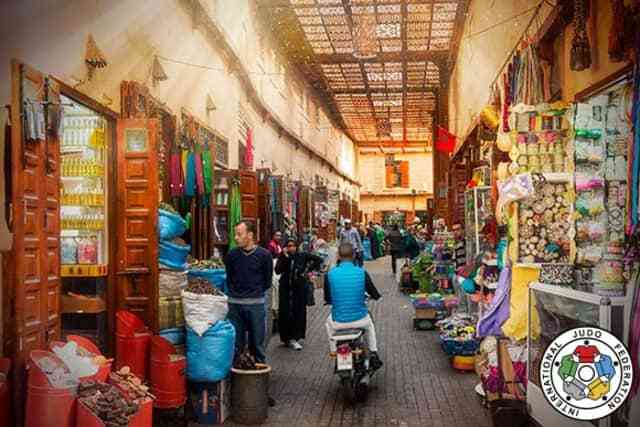 Marrakech is one of the major touristic destinations in Morocco. The city and its region are a vital component to the economy and culture of Morocco. In the 21st century, property and real estate development in the city has boomed, with a dramatic increase in new hotels and shopping centres, capable of accommodating thousands of people daily. Among the top landmarks of Marrakech are: the Jemaa el-Fnaa square, where an impressive judo demonstration was held yesterday evening, is one of the best-known squares in Africa and is the centre of city activity and trade ; Marrakesh has the largest traditional Berber market in Morocco and the image of the city is closely associated with its souks ; the ramparts, which stretch for some 19 kilometres around the medina (old city), were built by the Almoravids in the 12th century as protective fortifications ; the Menara gardens are located to the west of the city, at the gates of the Atlas mountains ; the historic wealth of the city is manifested in palaces, mansions and other lavish residences and many others, which make Marrakech worth a visit.